“To grow a successful coaching business you need to have a purpose and a passion to do what you do and seek out a few good folks you can regularly call for advice.” ~ Natascha Saunders from The Youth Career Coach Inc. 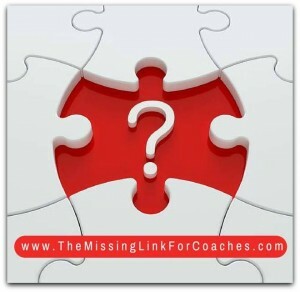 This podcast is brought to you by Coaching Connection Academy.com – THE Missing Link For Coaches. (1) Have you always wanted to be a coach or was there a “PIVOTAL” moment in your life that prompted the shift? I haven’t always wanted to be a career coach. The pivotal moment came when I was working in a human resources capacity for a retail chain and I noticed that applicants were not prepared for interviews. In fact, I felt bad for the people I could not hire. I noticed there were a variety of reasons including: dress, quality of answers, incomplete applications, poor references, lack of confidence, lack of company knowledge, etc. Thus, I set out to initial volunteer my time at night and on weekends to help those who were not getting hired in these jobs. This then led to me starting my own business. My ideal clients are youth and young professionals between the ages of 13 – 27 who are seeking guidance in career development, life, or academic decisions. I support my clients through 1 on 1 coaching, referrals to resources, or in a group setting such as workshops on various personal and professional development topics. I would tell my younger self to balance and budget my finances. Then to go harder, pause on relationships and just go 100% on my business and get it up and running while my youth was vivid and my energy and confidence was high. (4) Support from people around you is very important when starting a business – Were you supported from the beginning or did you have “NAY SAYERS” that you had to deal with. As far as being supported, I had mentors that referred me to their lawyers and accountants, who got me going, but I didn’t have true business mentorship. I did however, have cheerleaders, and many words of wisdom, but not on tangible matters like scaling, finances, marketing, etc. I didn’t really have people that said negative things to my face, but I didn’t always feel positive energy. That to me hurt as well, but I will say I just kept going as I was called and felt there was a need. (5) We all have times in our businesses when things get tough. How do you deal with challenges? I didn’t accept that most businesses go through things until very recently. Commonsense would tell me people go through things, but it didn’t sync in for me until a lady I admire said to me she closed down one of her businesses. I thought to myself I would have bet money on her that everything was as close to perfect as possible. However, her circumstance and honest reminded me that it’s not the case. Thus, what I’ve learned in dealing with my challenges is to think through them. There have been many. I have been challenged in my business model, in that do I stay a one woman show, or add to my team. However, every time I made a move to add to my team I’ve been disappointed. 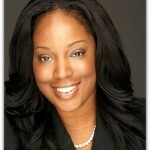 I’ve had clients or mentees that have never said thank you for the help they received from me. And there have been times, when I’ve given so much in free services that I’ve ended up in debt. So I’ve learned that challenges will come in one form or another, but if I’m not down for the count there must still be work for me to do. So I get up, dust myself off, create a new strategy, remind myself that if I’m not first in this process I’m no good to anyone, and then I just keep it going because I feel what I do is purpose driven. (6) What advice do you have for NEWBIE COACHES just starting out their coaching journey? My advice is to ensure you have a purpose and a passion to do what you do and seek out a few good folks you can regularly call for advice. Natascha Saunders is an award-winning and internationally respected certified youth coach focused on life, career and academics. She is a dynamic speaker, and workshop facilitator who strives to ensure all of her clients are self-aware and market ready. Did you enjoy the show? Leave us a rating and review on iTunes by clicking here, and you’ll be helping us get our inspirational message out to more people by clicking here – thank you!! YOUR SAY: What insight did you get from today's interview? Let me know in the comment box below. Just came across this today. Excellent interview and inspiring. Thank you.